Bayfront Eyecare will be accepting BOTH Highmark and UPMC medical insurances in the coming years. When you come to Bayfront Eyecare, we know you are trusting us with your most important sense: your good vision. We have been honored to be given the opportunity to provide eye care needs for more than 30 years, and we will continue to work towards earning your ongoing trust for years to come. It’s our mission to provide the best possible eye care to each and every patient, along with the highest quality products available. This high level of performance demands that we remain informed and trained in the latest eye health care techniques and procedures. We require every member of our team to be ever vigilant in meeting our patients’ needs. Our goal is 100% patient satisfaction. 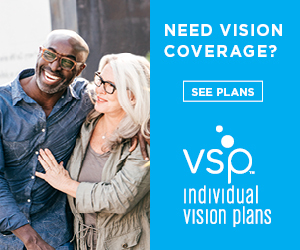 In everything we do, we aim to provide our friends, neighbors, and the surrounding community with quality eye care, convenient eye health services and optometric expertise in a setting that is comfortable, welcoming, organized and efficient.